Home » Posts » What Are the Hidden Costs of Relocating to a New Office Space? What Are the Hidden Costs of Relocating to a New Office Space? Sometimes, as the needs of your business change over time, moving to a more appropriate location can be incredibly beneficial to your business goals. 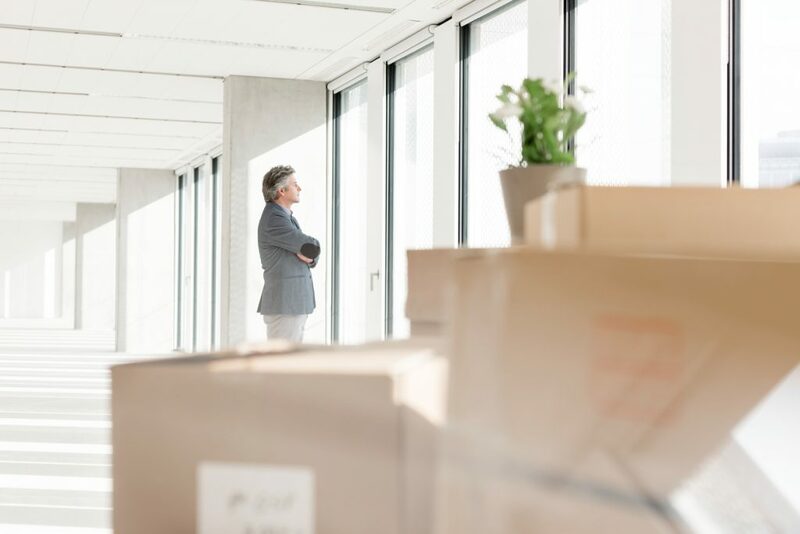 Despite all of the exciting new opportunities relocating can present, there’s no denying that of moving offices come with a few hidden costs. While there’s no way to avoid the hidden costs of relocation, it’s important that you’re prepared for any upcoming costs you may have to incur if you’re planning on relocating your company. Property agent fees aren’t technically hidden fees. In fact, the listing agent and your selling agent should be pretty upfront about the percentage of their commission. Generally speaking, most agents take anywhere from five to six percent and this cost is split between the two agents involved. Keep in mind that this fee is negotiable depending on the terms of the lease contract and other mitigating factors. When it comes to leasing a new commercial property, many people tend to underestimate the cost of the legal fees involved. There’s more to it than simply paying your lawyer to review your contract and the terms of your lease. In some cases, you may also be responsible for paying your landlord’s legal fees if the agreement calls for it. There are also applicable stamp duty land taxes, agreement fees, the price of premises for freehold purchases, and initial lease premiums for leasehold properties. Solicitation costs are also an important part of the legal fees you might have to pay when it comes to renting a new office space. Most office space rental agreements typically already include the cost of setting up an IT or telecom connection. However, depending on the terms of your contract, you may be required to set it up on your own. Like most external services or amenities, the inclusion of IT and telecom setup is completely negotiable, and this is something you should discuss with your real estate agent if your business heavily relies on these types of services. When it comes to renting an appropriate office space for your business, the possibilities and options are endless as long as you have an idea of what you’re looking for and need beforehand. Some spaces come fully furnished and decorated, which limits the amount of work needed as well as the amount of time and money you’ll have to spend in purchasing and transporting office equipment. Other spaces, on the other hand, are like blank slates that allow you to decorate your office space in accordance with your business model. You might even be allowed to implement a few minor renovations depending on the terms of your lease agreement. In Canada, the building landlord is legally responsible for instilling a detailed insurance policy that covers common areas such as stairways, lobbies, hallways, and elevators while the tenant is typically responsible for covering the insurance costs of their units or suites within the building. As a tenant, you’re generally responsible for ensuring that you have business insurance, contents insurance, accident insurance in case anyone sustains an injury within your suite, and terrorism insurance. These typically include costs that are often neglected or unaccounted for because most people simply don’t think of them ahead of time. Cleaning, security personnel or equipment, vending, financing options, and other incidental costs are necessary to integrate your business model into a new location. It makes sense to try to negotiate these costs into your lease agreement if possible. The reality is that there’s no way to avoid any of the abovementioned costs that are affiliated with relocating your business to a new office space unless you’re looking to cut corners, which is definitely not recommended. The best thing to do is to carefully plan out your move and give yourself a workable timeline to ensure that you’re accounting for every possible incident that may occur during the move. This is someone who can help you compose a detailed office relocation plan that takes every little possible hiccup into consideration and guarantees that you can properly budget moving from one commercial office space to another. An office space that already comes with all of the furniture, decorations, and equipment set up for you can save you a great deal of effort, time, and money in the long run. You can save money on having to rent moving trucks and other equipment and you won’t have to spend time thinking about decorative designs. Everything will already be organized for you and this can cut the amount of time it takes to move as well. The sooner you inform your current office space provider that you’re planning on moving, the sooner they can start looking for a new tenant. The faster they’re able to secure a new tenant, the less vacancy there will be in the building and this puts you in a much greater position to negotiate and possibly lower the cost of ending your lease early. Why Choose Innovative Professional Offices? Innovative Professional Offices can help you choose the right office space for rent in Ottawa, Toronto, and the GTA. We offer expertly and beautifully furnished shared and private office spaces with state-of-the-art boardrooms and meeting rooms to suit your needs. Even if you just need to rent a training room in Toronto or Ottawa for a short period, we’re more than happy to help! Contact us today to book a complimentary tour of one of our facilities near you!